Up on arrival, you will be welcomed and transferred to check in, then; relax at hotel. You will be picked up from hotel at noon for lunch at local restaurant. 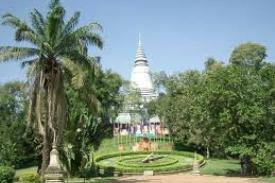 After lunch, visit ROYAL PALACE, SILVER PAGODA and WAT PHNOM. Dinner and overnight in Phnom Penh. 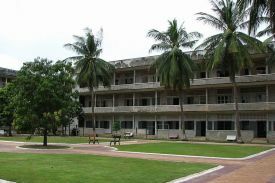 After breakfast at the hotel, you will be accompanied by our tour guide to visit: TOUL SLENG (S 21) THE GENOCIDE MUSEUM, then; continue to THE KILLING FIELD 15 Km from Phnom Penh. Lunch at local restaurant. 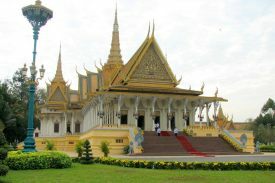 Afternoon, visit RUSSIAN MARKET, a short stop at INDEPENDENT MONUMENT for taking photograph, Dinner and overnight in Phnom Penh. After breakfast at the hotel, transfer to Siem Reap by bus. 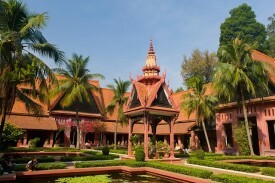 You will be met and greeted on arrival at Siem Reap. Lunch at local restaurant. Check in to hotel. 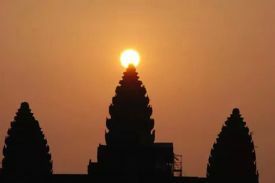 Visit ARTISAN D’ANGKOR, the Handicraft center. A short stop at WAT THMEY or Killing Field contains a unique glass-walled stupa containing the bones of victims of the Khmer Rouge. Then, stop at the WAR MEMORIAL MONUMENT, dedicated to those who sacrificed their lives in the civil war. 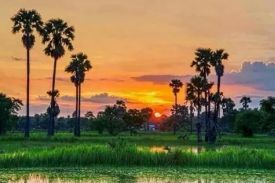 One hour stop visit NIGHT MARKET & PUB STREET, Dinner at local restaurant and overnight in Siem Reap. 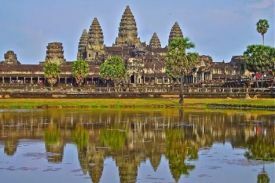 Morning after breakfast, we visit THE SOUTH GATE OF ANGKOR THOM including BAYON TEMPLE. THE ROYAL ENCLOSURE PHIMEANAKAS, BAPOUN TEMPLE, THE ELEPHANT TERRACE and THE TERRACE OF THE LEPER KING. We continue fabulous TA PROHM. After breakfast at the hotel, transfer to Phnom Penh by express coach. Arrival Phnom Penh, meet and greet. Lunch at local restaurant and check in to hotel. 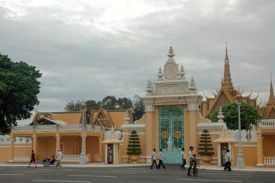 After taking little rest, will be accompanied by our tour guide to visit: ROYAL PALACE, SILVER PAGODA and WAT PHNOM. Dinner and overnight in Phnom Penh. Up on arrival, welcome. Transfer to check in, relax at hotel. 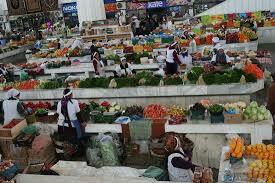 You will be picked up from hotel at noon for lunch at local restaurant. After lunch visit ROYAL PALACE, SILVER PAGODA, WAT PHNOM. Dinner and overnight in Phnom Penh. After breakfast at the hotel, transfer to Siem Reap by express coach. Meet and greet on arrival, welcome then transfer to check in. Relax at hotel. Lunch at local restaurant. After lunch transfer to visit ARTISAN D’ANGKOR The Handicraft center. 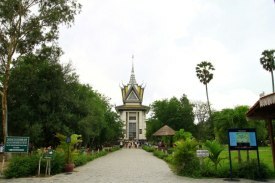 A short stop at WAT THMEY or Killing Field, contains a unique glass-walled stupa containing the bones of victims of the Khmer Rouge. Then, stop at the WAR MEMORIAL MONUMENT, it is dedicated to those who sacrificed their lives in the civil war. One hour stop visit NIGHT MARKET & PUB STREET, Dinner at local restaurant and overnight in Siem Reap.